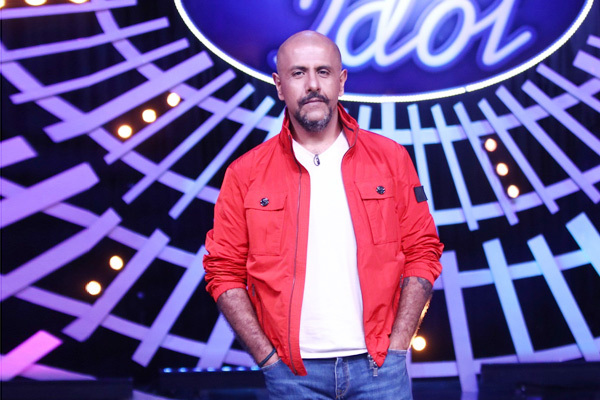 Vishal Dadlani, one of the biggest names in the music industry, is currently seen judging Indian Idol Season 10, which is grabbing eyeballs for the right reasons. Vishal happens to be pepped up for the journey, where he is co-judging with Neha Kakkar and Anu Malik. The ever enthusiastic music composer talks about the show, expectation from the contestants, co-judges Neha Kakkar and Anu Malik and more in an exclusive interview with Radioandmusic. How has your experience been so far on Indian Idol Season 10? It's been great, so far. It's never easy to sit there and be a judge, when the singers are so good that you don't want to compare them. You just want to cheer them and hope that they all have spectacular careers. How is judging with Anu Malik and Neha Kakkar? They're both super fun to work with. They love talking about all their experiences and achievements, which is not my scene at all. So, I get to just sit back and learn from them, as well as the singers. Do you always get into a ‘laughing riot’ with Anu Malik around? Anu Malik is far too young for his age. He's an absolute riot on the show and off camera too. What energy! Neha and I are just getting to know each other, but she seems sweet and earnest. While there are aspiring singers who want to make a career in the music industry, how would Indian Idol 10 help them? Indian Idol will give them a foothold, a start, and instant recognition. Yet, it's my personal belief that any reality show is only the first step in a performer’s journey. To the winners, I always say, they should keep their feet on the ground. To those who don't win, they should aim higher and further. No reality show defines a singer’s career, what does is their determination and hustle. What are your expectations from the contestants this season? As always, I expect superlative singing, and performances that will touch people’s hearts. At the end of the day, music is about telling the story of the song with honesty, and communicating genuine emotion, and that's what I want to hear from each contestant. I'm also looking for a star, someone who you can't take your eyes off, when they are performing. How different is Indian Idol from other reality shows? This is my third season as a judge on Indian Idol, and I have to say, I've never seen a show that goes above and beyond the shoot, when caring for and nurturing contestants. So many of the kids, we had on Indian Idol Junior, have been receiving training from the Indian Idol Academy. So many Idol contestants have become stars in their own right. Of course, above all, the prestige of earning the title of ‘Indian Idol’ is the biggest thing, a young musician can hope for. Any predictions for Indian Idol Season 10? I don't make predictions. This is India; anything can happen once the public gets involved. I do believe, the audience is always right because even in the real world, the listeners decide which artists are successful. New Delhi based Global Music Institute believes in working and promoting cross-cultural and more traditional folkloric styles of music. It also aims at developing well-rounded students who have a deep awareness and understanding of music. MUMBAI: Martin Garrix needs no introduction in India. He has been a part of the Indian music family. But, for the unintended this Dutch DJ has been ranked number one on DJ’s Mag not once but twice and he owns the STMPD RCRDS label. He has managed to do it all at just 21.